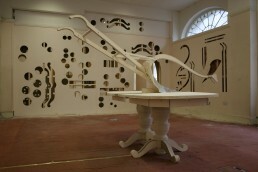 A dining table and hand plow are constructed from material cut from the gallery walls. 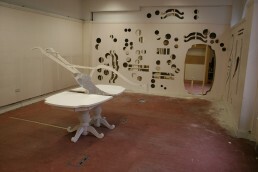 The plow bisects the dining table top. The institution is implicated within the history of supply and demand as well as producers and those with control over the means of production. 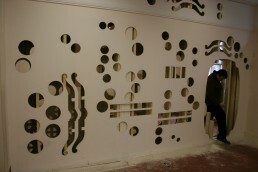 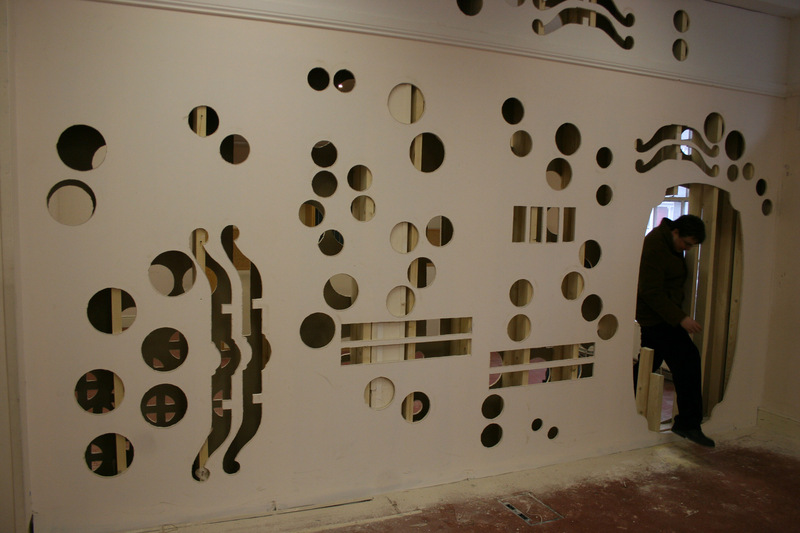 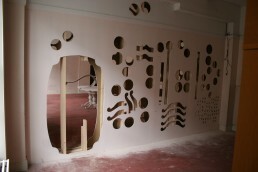 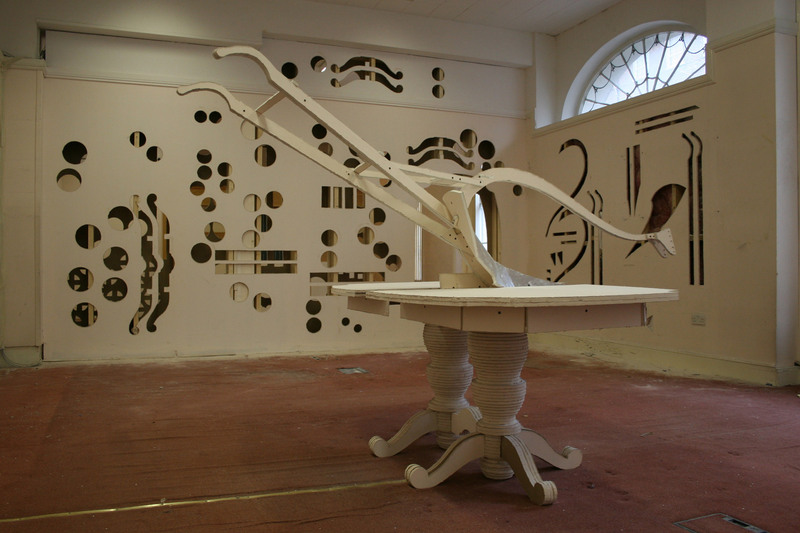 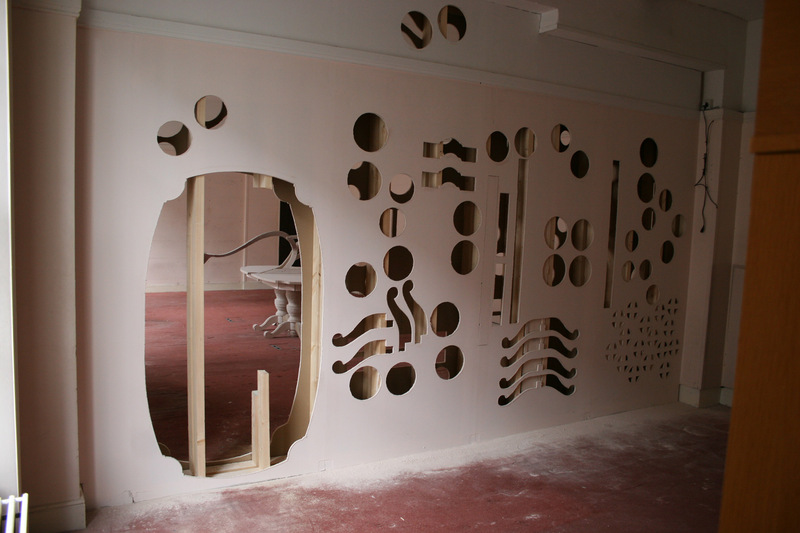 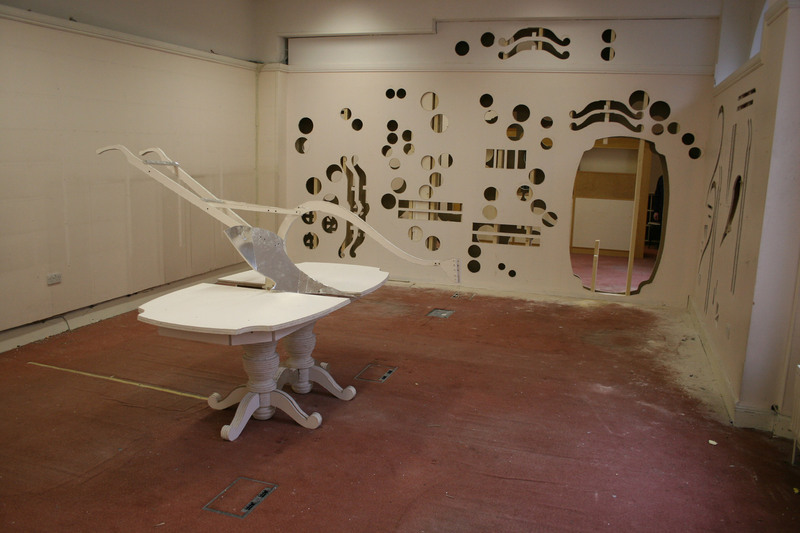 In the installation at the former county council offices of Limerick, Ireland, the viewer is invited to enter the space by passing through the hole left to construct the table top. 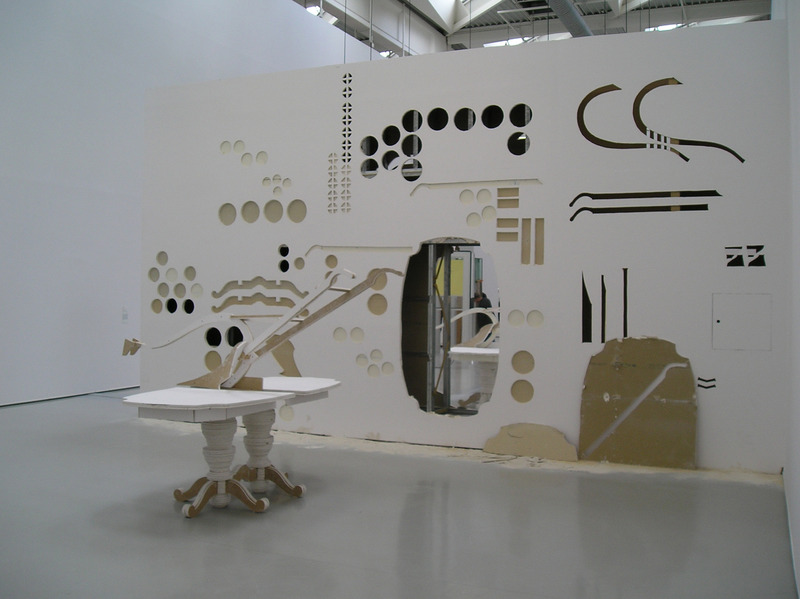 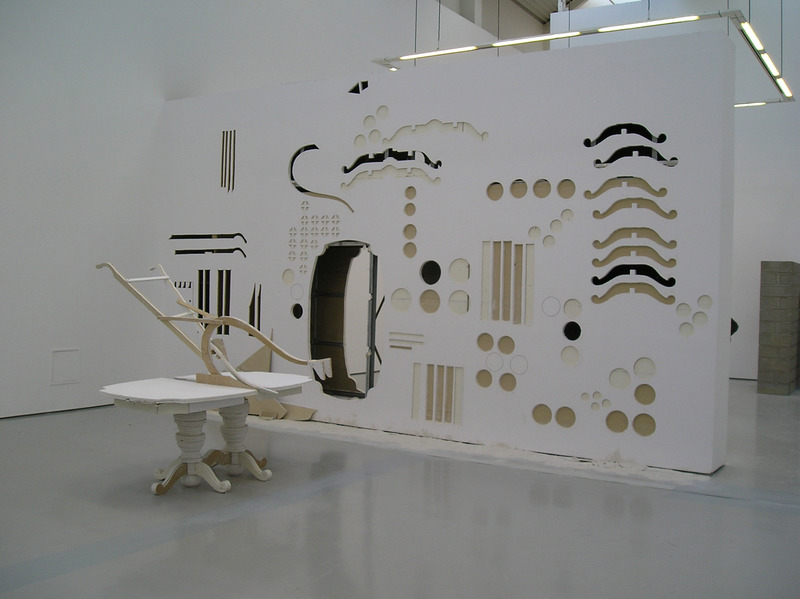 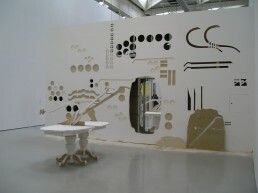 The installation at the Musée d’Art Moderne Saint-Étienne, France where two tables and two plows were constructed based on the unusual circumstance of the dividing wall from which the tables and plows were extracted.